I never manage to cook the correct amount of rice. We always have way too much left over at the end of the meal. Underestimating how much to cook became such a nuisance I had to be very creative with leftover rice over the years. Recently I developed the most scrumptious recipe to use up the leftover rice that adults and kids will just fall in love with. It’s an organic twist on an old favourite that makes the best dessert, snack or breakfast! My family adores this recipe and I know you will as well. 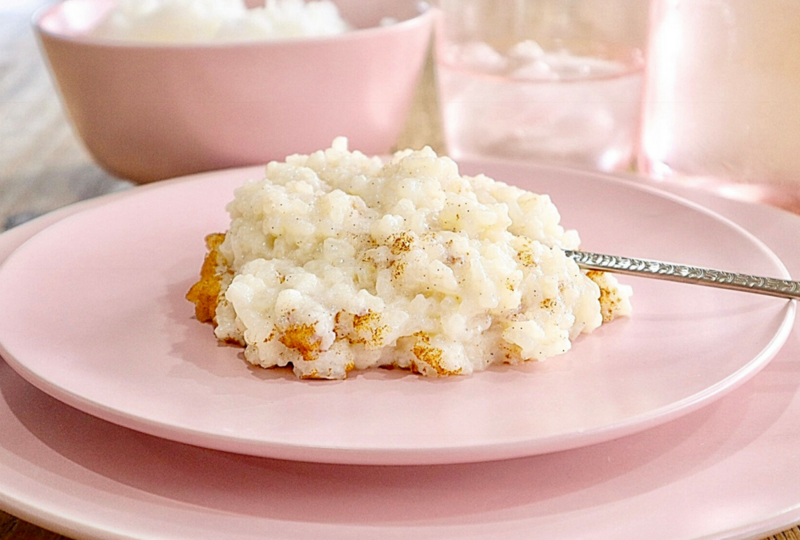 A simple recipe that will always come in handy when you have too much left over rice. In a large saucepan, combine the rice, milk, maple syrup and salt. Spoon into serving dishes and dust lightly with cinnamon.